History repeats itself. According to this article (in pdf format) by Peter Del Tredici* on the history of plant hardiness zone maps, there used to be two hardiness maps floating around, the Arnold Arboretum map and the map put out by the USDA. Donald Wyman first created what would come to be called the Arnold Arboretum map in 1938, using forty years’ worth of data taken from a U.S. Weather Bureau map. The AA map was updated in 1951, 1967, and 1971. The publication of the latest 1990 USDA map, based as it is on more abundant and more accurate data than the Arnold Arboretum map, provides the perfect opportunity to resolve this confusion. At long last, the United States has a single, standardized zone map. There can be little doubt that this new USDA map is superior to any, and all, previous efforts. I remember when this map came out (pictured above). Fine Gardening included it as an insert in an issue of the magazine, and it was widely hailed as an improvement over the previous hardiness maps. Obviously the National Arbor Day Foundation (NADF) thought it needed further improving, because they went and developed their own map, which is causing a brouhaha among garden bloggers. It’s based on 15 years’ worth of data from 5,000 National Climatic Data Center cooperative stations. I don’t know if an NCDC cooperative station is different from what Del Tredici calls a weather station, but it sounds like the NADF used data from far fewer locations over a longer time period. So is it more accurate, or less accurate? More to the point, did it tell you anything you didn’t already know? Is it unfair to say that any gardener who’s been gardening in the same location for more than a year or two has a pretty good idea of how cold it gets in winter, how hot it gets in summer, how long between the last frost of spring and the first frost of autumn, and how much precipitation will fall and when it’s most likely to come down? Hardiness maps have always been about giving you a ballpark figure, a starting point from which to make better judgments based on experience. In my case, the USDA map has me in zone 5, and the NADF map has me in zone 6. According to my own data, the temperatures I’ve recorded right here in my own front yard, I was in zone 4 in 1990 and in the last 6 to 10 years it’s been more like zone 5. I say “more like” because in some winters it’s barely gotten below 0F (-18C)(Zone 7) but the date of my last spring frost has scarcely budged. (It was May 19th in both 1992 and 2005, for example, though it came as late as June 12th in 2004.) The fact that the winters have been warmer hasn’t really changed when tomatoes get planted in the ground. 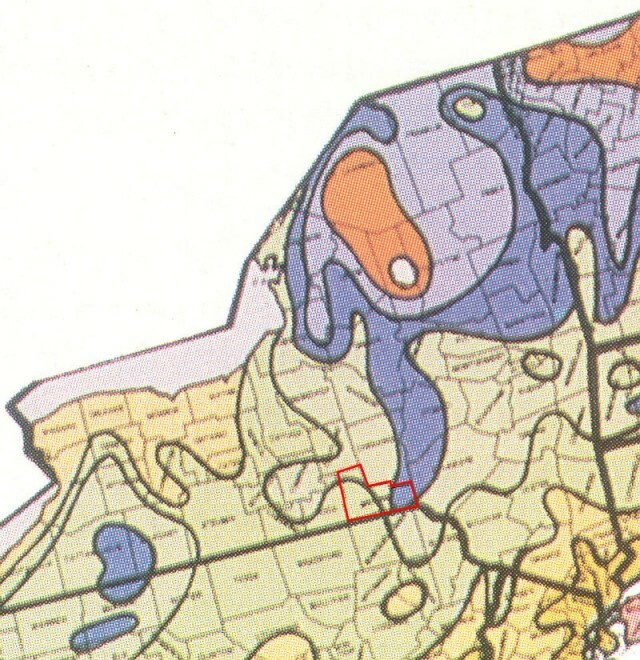 I happen to have an old gardening book (1951) with the Arnold Arboretum hardiness map in it, and it has me in the -10F to -20F (-23C to -29C) zone, which they call Zone 4 but would be Zone 5 by the current maps. Perhaps this would explain the presence of established Rose of Sharon shrubs when we moved in. They are supposedly hardy to Zone 5, and I wondered how the previous owner ever got them growing in our Zone 4 winters. Answer: we didn’t have Zone 4 winters forty years before I moved in. The winters were warmer back then. If, as Mark Twain is reputed to have said, “Climate is what we expect, weather is what we get,” it can be unnerving when we no longer know what to expect. If one’s climate is getting consistently warmer, that can be anticipated and planned for. Furthermore, you’ll have noticed it getting warmer before any map comes out to tell you about it. But if the climate is getting more erratic and inconsistent, that is more difficult for both the gardener and the plants he or she tends. And in that case, no hardiness map can tell you what you need to know. *”The New USDA Plant Hardiness Zone Map” by Peter Del Tredici in Arnoldia Summer 1990 (Vol. 50, No. 3). Accessed at http://arnoldia.arboretum.harvard.edu/pdf/articles/807.pdf on 26 Dec 2006. Hi there girlfriend. Fantastic, informative, relevant, useful, accurate reporting on your part. I have been whining about the Zone Maps and their devotees for ages. You set the record straight. HOWEVER, for some of us, the Sunset maps need to be identified as such. Our local paper sometimes uses Sunset’s zone map and sometimes the USDA’s but never tells which is which. And this just adds to the confusion. I will link to this on my page. Nice job! Sunset’s zone maps of California are highly accurate and pinpoint most of the micro-climates throughout the state. But their maps, plus all of the others I have seen including the two at the beginning of this post, are too broad in their generalizations for here. There is a long series of high hills starting just south of me that all of the gardeners who live there agree only plants rated zone 4 and lower are hardy there. None of the maps have that detailed accuracy on them. The maps serve me as initial guidelines and jumping points but I’m often left to my own trialing and experimenting. I guess that each gardener has to figure out his/her comfort level with what these yearly averages mean for our gardens. Paul’s findings wouldn’t make me comfortable planting a tree–or a large or slow-growing shrub–that’s only hardy to zone 6 if I were that woman in Iowa. However, I might take a chance on a perennial, cheaper shrub, something I could start from seed with minimal dollar investment. Thank you, Paul, for the information on how to find the high and low temperatures for a given locality. That will certainly help any gardener who hasn’t been keeping his/her own records. People can go to http://www.wunderground.com and do a custom search for their highs and lows for the past “x” years. I spoke with a woman this morning in Iowa who swore she was zone 4 (Ankeny, IA). I checked her low temperatures for the past 7 years and her all-time low was 0F. Zero Fahrenheit is zone 7. I know she won’t stay zone 7, but she surely isn’t zone 4 at -30F. We have armadilloes in Nebraska now, if you need further evidence that Al Gore is correct. There will be microclimate effects of climate change that do not result in overall warming in specific locales, but overall, the predictable seasonal patterns that we have relied on will disappear and be replaced by a more chaotic situation that will likely result in loss of native flora and fauna. Say bye to polar bears and a lot of other beautiful aspects of this earth. And of course don’t ever think that humans filling the atmosphere with pollution is the cause of it. After all, Rush Limbaugh and George W. Bush are smarter than the 85% of statured scientists who agree that climate change is human-caused and is accelerating faster than expected. Jenn, if you poke around the Arbor Day website you will finally get to this page which says (among other things) “. . . global warming is underway. Tree planting is among the positive actions that people can take to reverse the trend.” Of course it’s a coincidence that you are reading a website that makes money selling trees. And I agree about it being ill-advised. Just because we’ve been having warmer winters does not at all mean we are guaranteed to have them in the future. It only takes a couple of nights of too cold weather to ruin some very expensive trees. If people are going to play the hardiness game, they should follow the same principles they would follow at a casino: don’t put anymore on the table (or in the ground) than you can stand to lose. Kim, perhaps you can Google “chilling requirement apples” or whatever fruit you are particularly concerned about. Or maybe contact the local cooperative extension. Yes! That was really the point behind the post: if you are keeping good records of your own, this Arbor Day map wouldn’t have surprised you. Good points, Kathy. It seems like we’re in another “El Nino” pattern here in the Cleveland area, much like the 1997/1998 winter. I was in college in Dayton then, but I wonder if anyone who gardened here could tell me whether fruit production was down in the summer/fall of 1998 as a result of that mild winter. You know, it is times like these, when I have questions about the past, that I really appreciate the value of bothering to keep a detailed garden journal for future reference. And your comment on the warmer winters in the past is interesting. I don’t think we had so much loss of mass at the ice caps in those years, tho, so this is a new and riveting equation we find ourselves living through. Interesting times, indeed! Kim, I think it’s a rather thoughtful question. Given your provisos, I don’t think it would be a problem. The thing is, will it stay consistently mild? My primroses are putting out new growth. If they get 6 inches of snow on them, they will be fine. If it drops down to 0F without snow, I’m not so confident. Also, most fruit trees need a certain amount of chilling hours, and there are other plants that need cold as well: lilacs, Oriental poppies, and asparagus come to mind. Exactly how much cold they need, I’m not sure. Of course, the winter isn’t over yet . . . Very informative post, Kathy, as usual. Great comments, too. El, I agree with you that the lack of snow is disturbing. I feel, as Doug Green also said, that we are going to pay for this later. I wasn’t trying to say that climate change isn’t disturbing. I was trying to point out that when an organization issues a hardiness map, it shouldn’t be telling an established gardener anything that he/she hasn’t already been observing for himself. And it’s not predicting the future. And, if poorly researched, it’s not even illustrating the past. It is, at best, a graphical illustration of weather statistics. If the climate changes in a consistent manner, that is, if I can count on it being warmer in winter or (even better) frosts ending earlier in spring, I can plan for it and the plants can adapt to it. If the climate change results in more erratic weather, unseasonably warm in one year and unseasonably cold in another, that leaves us all more vulnerable. The climate shift may come as a surprise to those who rejoice in yet another sunny day and curse municipal water restrictions in the same breath. But gardeners (and all who make their living growing plants) pay more attention to weather trends, and such a map revision should only confirm their own observations–it shouldn’t come as a surprise. Thanks, as ever, for your insights and informational links. The Sunset maps work for our area in what would be considered “normal” years. As do the heat zone map put out by AHS. I guess what disturbs me about all this “change”, at least in my area, is the lack of snow. Being in a lake-effect area, December should see 18″ and January 68″, as an average. We’ve had barely a flake this month, though strangely it snowed measurably in October. I am not sure what all this means. The ground is not frozen, the birds don’t visit our feeders, the frogs appear in the pond when the thermometer goes above 45* (almost daily, in other words), and we actually used our air conditioning this year. It is spooky, frankly, looking at a dandelion-strewn lawn when we’re making New Year’s plans for the weekend. MSS-I find it interesting that your failures started about the same time I noticed it wasn’t getting as cold in the winter. We have had some pretty bad droughts, too, though not every year. I know about the AHS map, and even listed my AHS zone in the Contributors section, but it is not very relevant here. We are not likely to get 15 days over 90F in a year, though when we do it seems like an eternity because we aren’t prepared for it. No a/c, and, sadly, no longer a big maple shading the house. I don’t know if one or two years is enough personal experience to know what to expect in Texas. When I first began gardening I had all sorts of successes that turned to failures 7 or 10 years later. The biggest factor in my good versus bad years seems to be the amount of rain we get and when. On the other hand, like many gardeners, if a plant strikes my fancy I’ll try to grow it, zones be damned. I find the AHS Heat Zone Map which shows the number of days of temperatures above 86 degrees to be very useful down south. My goodness. After some of our summers, 86 degrees can seem pleasantly cool to us humans but apparently it is the point where some plants begin to suffer heat damage. According to the map, Austin has almost 1/2 to 2/3rds of the year with 86+ days. We used to average 10 days above 100 but the last six years we had about 30 days above 100. Typically we have only about 15 days below freezing though. I figure that leaves us about 140 days of the year where the plants aren’t stressed by extremes of heat or cold. However, it is never 140 days in a row. Kathy – Thanks for the great post on hardiness maps. I haven’t been gardening long enough to know the recent history of the maps. I’m like Carol – I’ll stick with my current USDA zone unless I’m feeling very adventurous. You know, we are surrounded by information. What we need is knowledge. Thanks for sharing some. Carol, I would be interested in learning how the Sunset map meshes with your own experience. Do you find it generally describes your climate better? Kathy, good info on hardiness zone maps, and you are right, it is our own experience that counts, that and keeping one’s own records. I’m staying in Zone 5 for now, whether right or wrong. I may experiment with a few Zone 6 plants, but with caution!